Sound the alarms and beep the horns everyone, because this is the first of my Italian travel posts woooooooo! 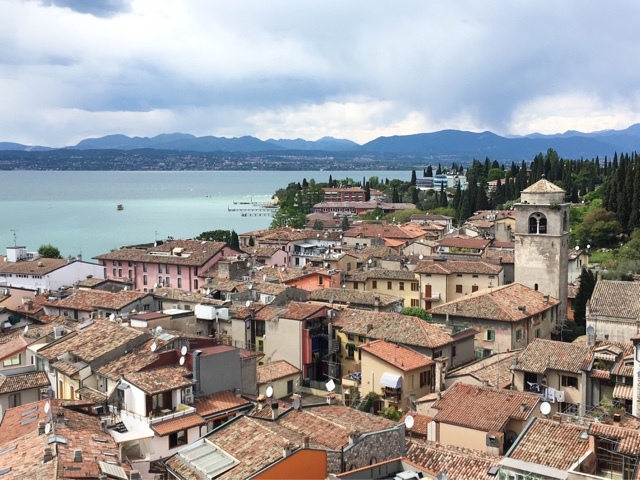 I was planning on writing these posts in some sort of chronological order, starting with Verona then moving on to Venice however when I clicked "New Post" I just couldn't stop myself from writing about the absolutely beautiful day trip I had to Lake Garda because it was just so damn exciting. I think this is also going to end up being a bit of a long post so prepare yourselves! 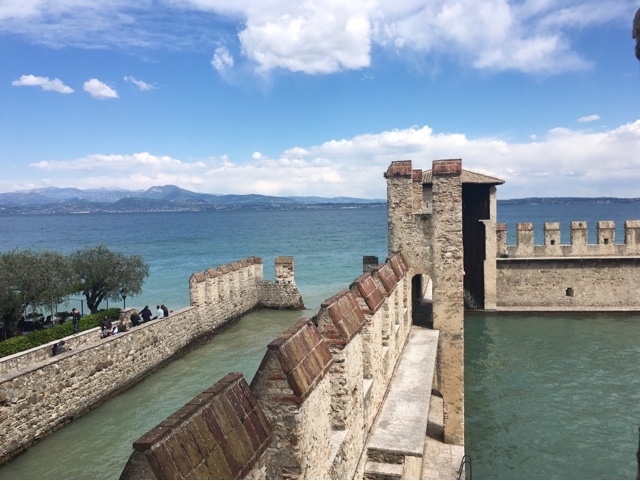 In case you haven't read any of my other posts, I was in Italy for a week during the Easter Holidays, with the trip coinciding with my 21st Birthday! 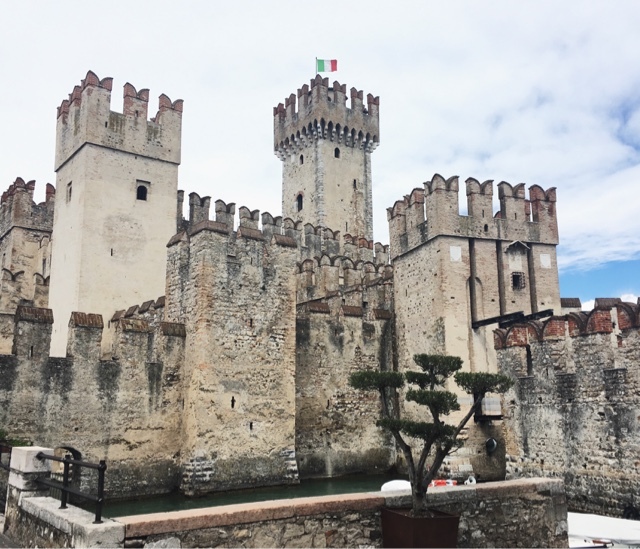 I had been searching the Blogosphere for day trip ideas for when we were there as I wanted to do something slightly more special on my actual birthday, and came across a couple of posts about the little town of Sirmione. A few pictures of the beautiful castle were enough to convince me, all I had to do was to convince my friends. After pitching it to them as a "50 minute bus ride that will only cost us a couple of euros" and "it has a castle and pretty scenery" they were also sold, and we planned the trip for the day after my birthday, as it was supposed to be the day with the best weather. Let's just say that our day didn't exactly start according to plan as by the time we got in to Verona centre to catch our bus it was already nearly 12 o'clock. We had extremely roughly researched the bus we needed to get and had a number and a rough journey time, however all this was flung to the side when we saw a bus with "Lake Garda" blazoned across it. Throwing caution to the wind we ran and jumped on to the bus, buying a ticket to a town that we thought was roughly near Sirmione and off we went. Needless to say we were wrong and ended up being half stranded in a tiny little town with one café and the right bus not for another forty minutes. Or so we thought. Forty minutes passed and still no bus. 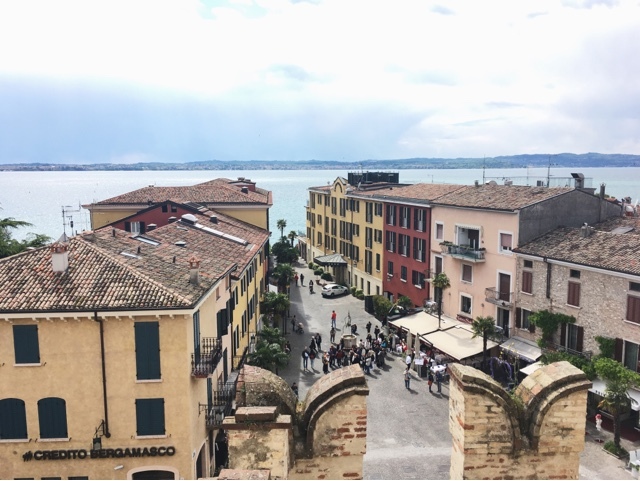 At least an hour after we arrived we hopped on the bus to take us to Sirmione. Again, or so we thought. 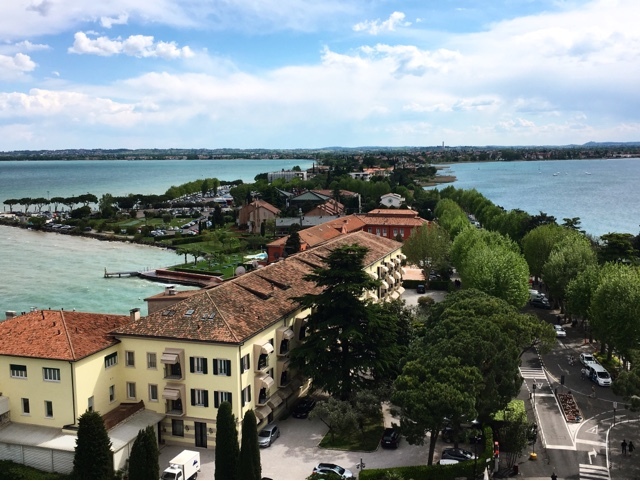 Turns out you have to change bus when you reach the Sirmione peninsula and swap to a shuttle bus which takes you to the historical centre. So this "50 minute bus ride" ended up being nearly three hours and definitely more than a couple of euros but hey, you win some you lose some. It was all worth it though when we stepped off the bus and were greeted with the most beautiful fortress, guarding the entrance to the peninsula. 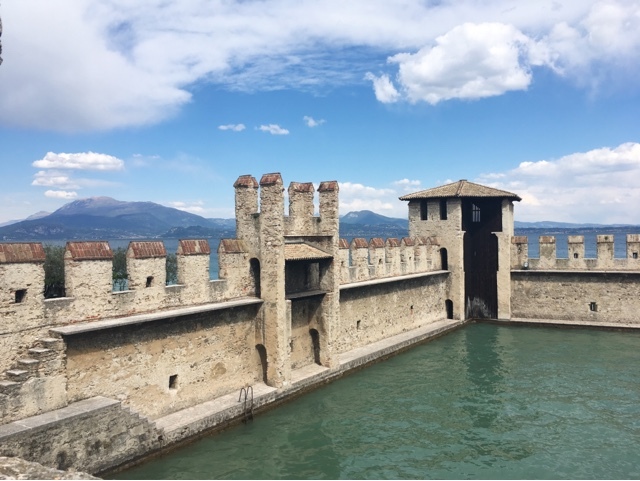 The Scaliger Castle built at the end of the 12th century was surrounded completely by water, and the views from the towers across the lake were absolutely stunning. 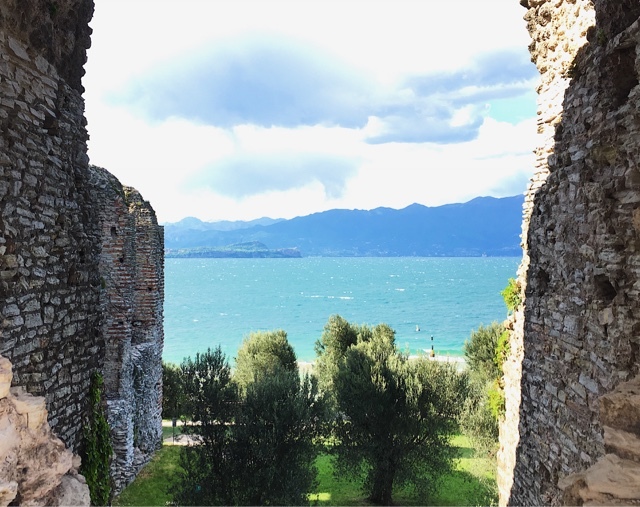 You were able to buy a combined ticket for the castle and the Grotto of Catullus for only 5 euros if you were a student and an EU citizen which was incredible value for money! After exploring the castle, we decided to take the costal path along the peninsula to the grotto. 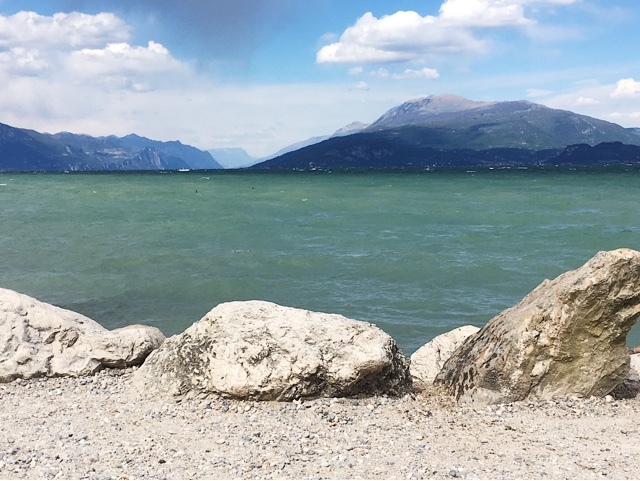 While it wasn't particularly warm, the views across Lake Garda were absolutely stunning. At times, it genuinely felt like we were in some sort of lush hotel resort on a tropical island. With the mountains in the distance and the water a beautiful greenish shade of blue it was such a pleasant walk. 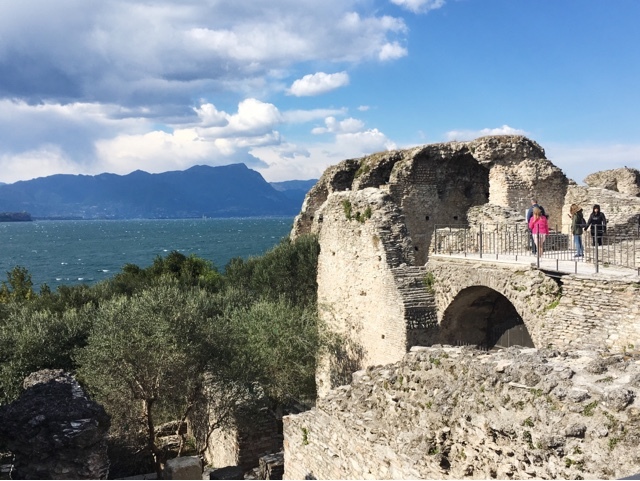 The Grotto of Catullus is actually the site of a 1st century AD roman villa! Legend says that the poet Catullus actually lived there but who knows. The ruins themselves are incredibly impressive, you can still see the outline of windows and some walls are still standing. 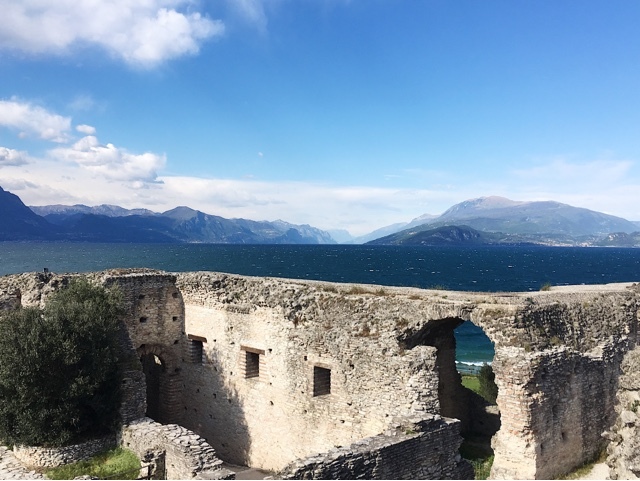 Not only does it feel almost mysterious to be walking around the giant archeological site as it is so old, if you climb up to some of the higher levels you are rewarded with the most incredible views over Lake Garda! After exploring the grotto we headed back through the cobbled windy streets towards the bus. Well, towards the bus stop 2km outside of the town centre where we then had to wait another hour for a bus. I definitely learned my lesson that you should at least have a rough idea of the frequency of buses before setting off on a day trip to somewhere where you don't speak the local language. But that's what the year abroad is all about eh? 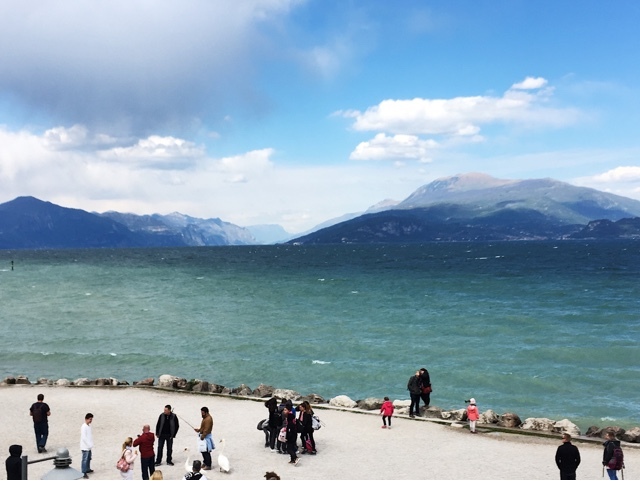 Transport issues aside, Lake Garda was absolutely stunning and the perfect day trip from Verona. Have you ever been? Let me know in the comments! I'm also going to try and get back into a slightly more regular blogging schedule again, I've been travelling so much throughout the past few weeks that it's been really hard to keep the content coming but I have plenty more to talk about! Hope you are all had a lovely May Bank Holiday!